Tamco is a fully owned subsidiary of Larsen & Toubro Ltd., a $14 Billion USD technology, engineering, construction, projects, manufacturing and financial services conglomerate. 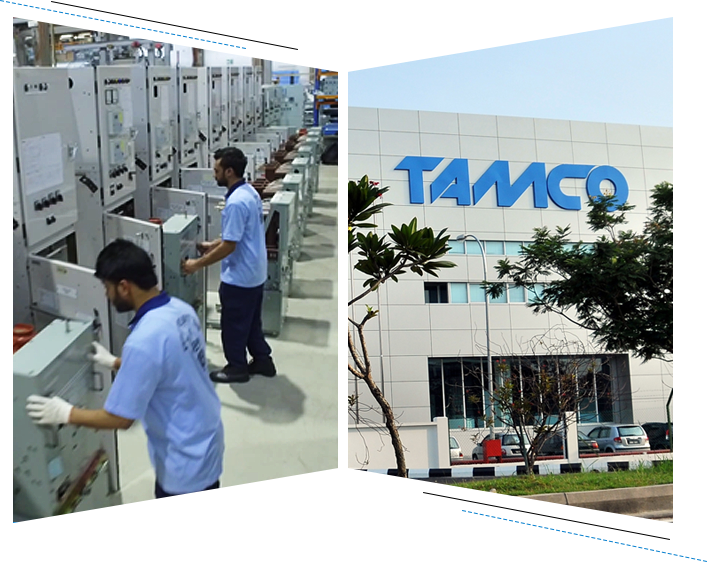 Tamco Australia has been in the business of electrical switchgear since 1964, with manufacturing facilities in Malaysia, Saudi Arabia and Indonesia. Our MV Switchgear (3.3kV to 36kV), manufactured in Malaysia, offers full local technical support in installation & service. Tamco’s products in Australia are installed in Power Utilities, Mines, Oil and Gas Plants, Communication Centres, Transportation, Water Treatment and Infrastructure. As part of the Larsen & Toubro Limited group of companies, Tamco Electrical Industries Australia’s extensive range of switchgear continues to meet the diverse needs of the industry today. Tamco has developed expertise to produce switchgear using its own technology platforms and adapt its switchgear to suit various configurations. Our product range is now developed in-house and independently type tested at renowned test laboratories (KEMA-Netherland, ASTA-UK, CESI-Italy, TCA-Australia). Tamco is also ISO 9001, 14001 & OHSAS 18001 certified company with commitment towards continuous improvement in quality. Whatever the application our experienced team of industry professionals is committed to delivering technically and commercially competitive solutions. That’s why Tamco is The Switchgear Specialist.